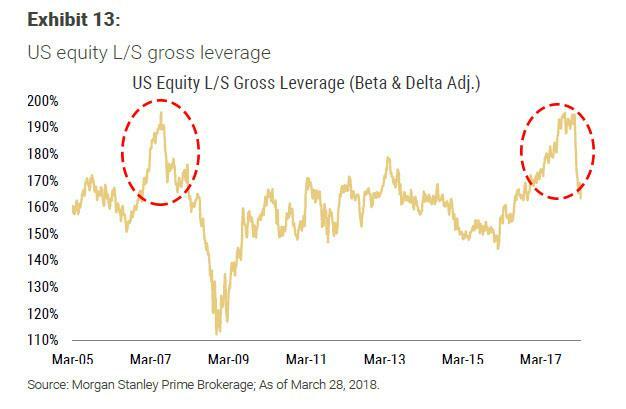 However, there was one particular chart supplied from Morgan Stanley that caught our attention: the gross leverage at Long/Short hedge funds. 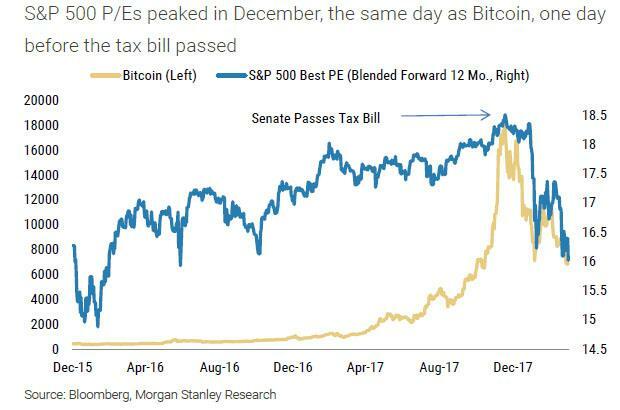 What it shows is not only the fastest collapse in gross exposure on record, but a pattern that is oddly similar to what happened during the last euphoric surge in mid-2007, which was promptly followed by the great financial crisis. 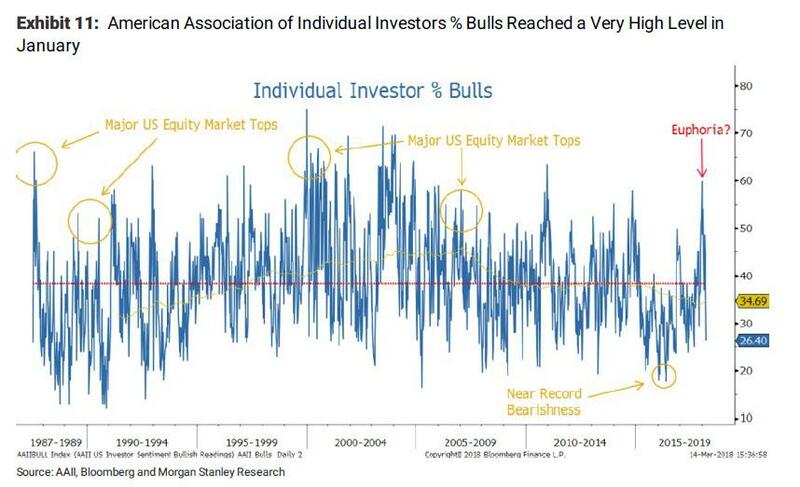 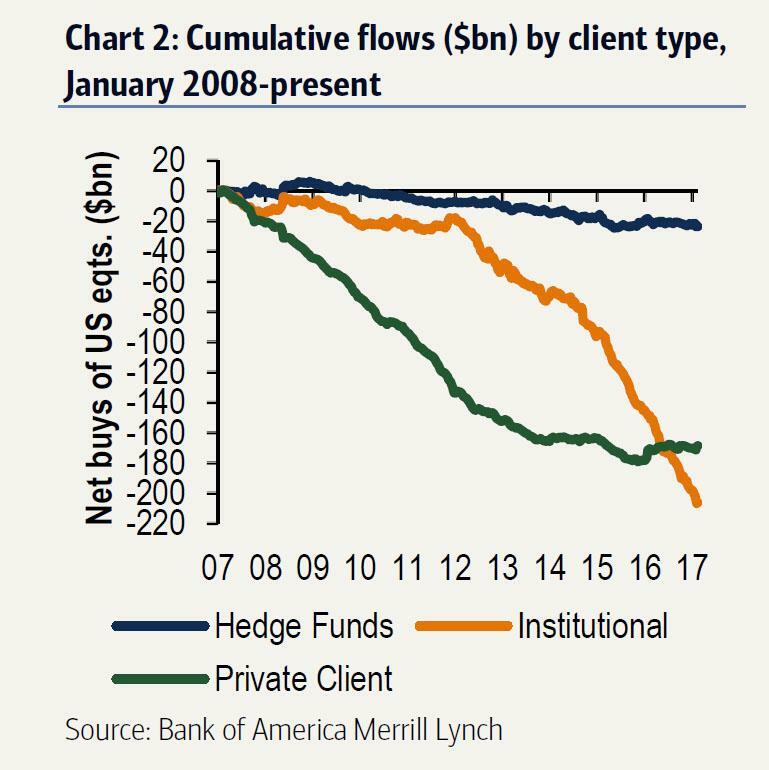 This confirms what both JPM and BofA have pointed out recently: institutions, and hedge funds, have been tireless sellers of equities in recent weeks. 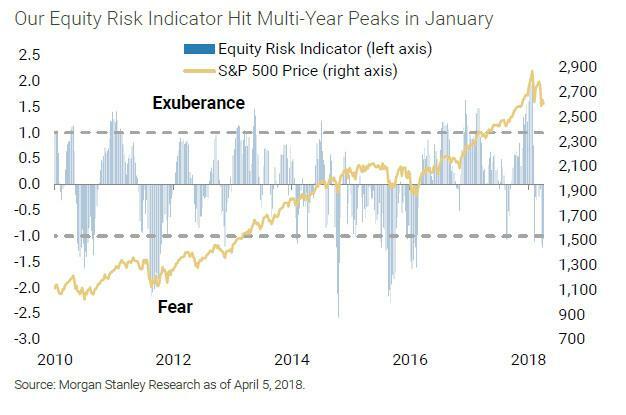 It is unclear what can prompt hedge funds to reverse their sudden gloom, and lever back up: after all the S&P is still just shy of all-time highs. What is clear is that unless corporations ramp up stock buybacks in the coming weeks, no matter how strong earnings season is, the outcome will be very adverse for risk.